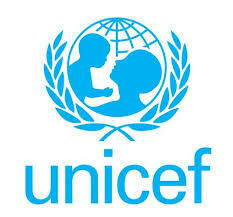 UNICEF, the World Health Organisation and partners have completed the first round of a vaccination campaign in response to the recent outbreak of vaccine-derived polio in Syria. The campaign provided vital protection against the disease to more than 355,000 children under five years old in the Governorates of Deir Ez Zor and Raqqa, where violence has made access especially difficult. This is the second polio outbreak to hit Syria since the start of the conflict in 2011. The continued violence has devastated its health infrastructure and severely disrupted routine immunization services, particularly in Deir Ez Zor and Raqqa. Prior to the crisis, Syria was polio-free, with an immunisation rate over 80 per cent. National vaccination coverage is now just over 40 per cent. To vaccinate every child in need, UNICEF ran an outreach campaign and provided the vaccines and essential cold chain equipment. WHO has trained more than 1,000 field volunteers, transported the vaccines to the conflict-affected area, and funded the implementation of the campaign. UNICEF and WHO will continue engaging with local partners and health personnel in Raqqa and Deir Ez-Zor Governorates to protect all children from polio. Both agencies call on all parties to the conflict to allow vaccinators full access to children in need.